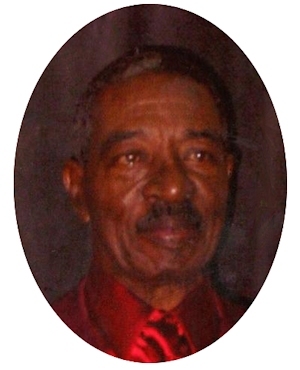 Obituary – Vester, Bennie Jr. « Perry High School Alumni Association, Inc.
Obituary – Vester, Bennie Jr.
Bennie Vester Jr., 75, of Perry, Oklahoma, was the son of Bennie Sr. and Bessie Mae Austin Vester. He was born March 26, 1937 in Perry, Oklahoma and died Saturday, January 5, 2013 at his residence in Perry, Oklahoma. Bennie was a determined young man to conquer many tasks in life. 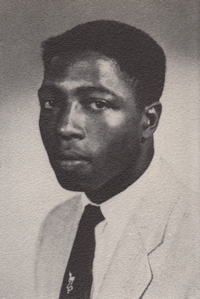 He was the first black to graduate from Perry High School in 1956 after attending the Blaine schools in the early 1950s. He served his country in the United States Army from 1956-1957. Bennie worked for the City of Perry until he retired in 2002. Bennie met Carolyn Atkinson in 1979, and were married on April 6, 1989 in Oklahoma City, Oklahoma. He was a member of the Church of God in Christ. Bennie enjoyed working in the yard, being outdoors, but most of all he enjoyed spending time with family and friends. Funeral services will be 2:00 p.m., Saturday, January 12, 2013 at the First Baptist Church in Perry, Oklahoma. Rev. Magnus Scott will officiate. Interment will be at Grace Hill Cemetery, Perry, Oklahoma. Services are under the direction of BrownDugger Funeral Home in Perry, Oklahoma. Memorials may be made to charity of donors choice in care of BrownDugger Funeral Home, 1010 N. 7th Perry, Oklahoma 73077. Bennie is survived by his wife, Carolyn of the home one son, Dion Vester of Stillwater, Oklahoma three daughters, Marcia Vester and Denise Vester both of Perry, Oklahoma, and Gween Tubbs of Wichita, Kansas one brother, Kevin Vester of Wichita, Kansas, two sisters, Lucille Jordan of Oklahoma City, Oklahoma, and Renae Vester of Wichita, Kansas five grandchildren, Kendra Lawrence of Stillwater, Oklahoma, Destri Vester, Laizon Thompson, Dejia Thompson, and Demarco Vester all of Perry, Oklahoma two greatgrandchildren, Antonio Lawrence of Oklahoma City, Oklahoma and KhaRhya of Stillwater, Oklahoma. He was preceded in death by his parents Bennie Sr. and Bessie Vester two brothers and two sisters.